An Argentine submarine that went missing almost exactly one year ago has been found at the bottom of the Atlantic Ocean. 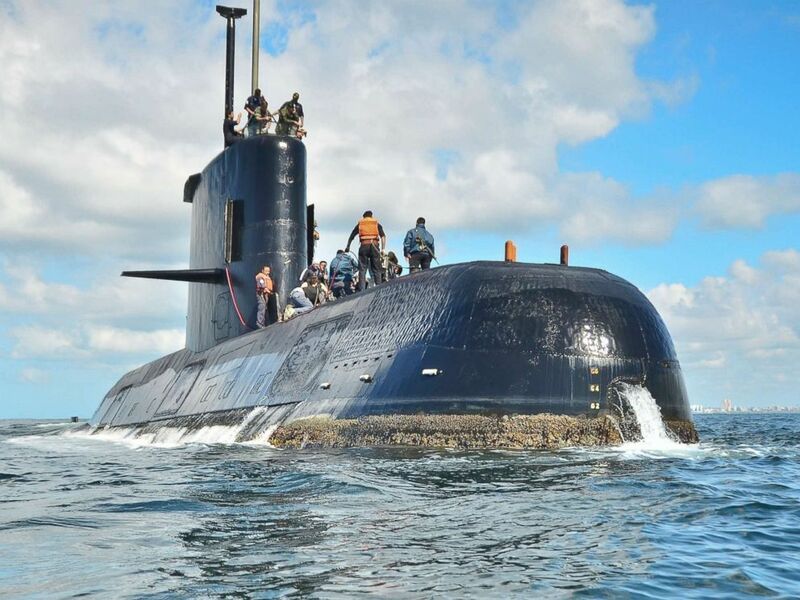 The Argentine Navy and Defense Ministry confirmed late Friday evening that the remains of the ARA San Juan submarine had been located in the south Atlantic Ocean at a depth of about 800 meters (approximately a half mile), about 700 miles due east of the Argentine city of Puerto Madryn. The families of the 44 crew members who perished in the accident have been summoned to Mar del Plata Naval Base to be officially informed this weekend. Officials in the South American country lost radio contact with the San Juan on Nov. 15, 2017 and were unable to locate the missing sub in following days and months. President Mauricio Macri declared a period of mourning starting on Saturday. "Their sense of purpose, their sacrifice and self-giving for the nation, should inspire us all," Macri said, in Spanish, according to The Associated Press. "They are an example of life for all Argentines. As a homage to all of them, we will declare national mourning for three days." 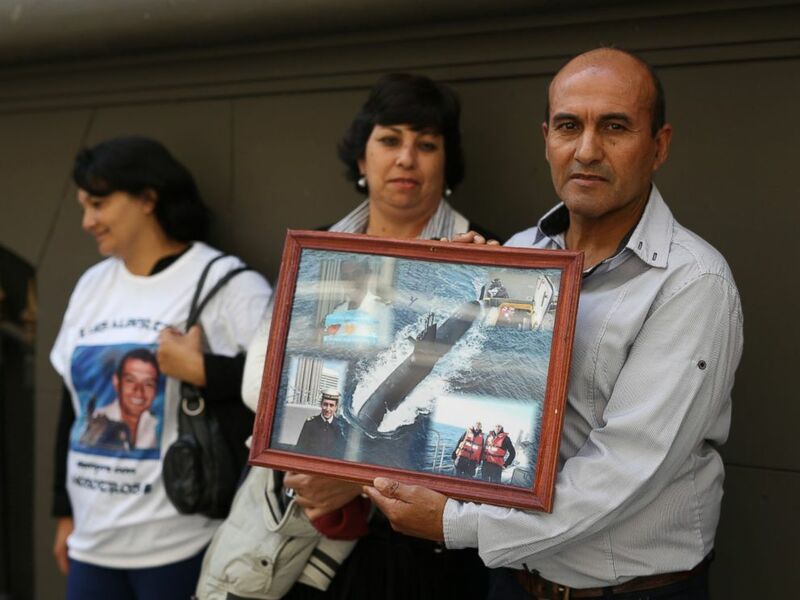 Antonio Niz, father of first Corporal Luis Niz, holds a collage of images of his son, a crew member of the missing ARA San Juan submarine, as family members stand outside Russia's embassy in Buenos Aires, Argentina, Monday, Jan. 15, 2018. The sub was discovered Friday by U.S. company Ocean Infinity, which was in charge of the search operation. The company sent out mini-submarines to the seabed and one returned with definitive photo evidence of the wreckage of the submarine. In the deal the Houston-based company made with the Argentine government, finding the wreckage of the submarine would trigger a payment of $7.5 million. The same company struck a similar deal with the Malaysian government to find Malaysia Airlines flight 370 earlier this year -- but came up empty in its search. Utilizing the Norwegian ship Seabed Constructor, the 40-member team of specialists from Ocean Infinity set sail on Sept. 8 and were on their last day of work before heading back to port when they received indications of a 60-meter long wreckage or geological formation at a depth of 800 meters. They had already studied two dozen other such possibilities to no avail. This undated photo provided by the Argentina Navy shows an ARA San Juan, a German-built diesel-electric vessel, docked in Buenos Aires, Argentina. Three personnel from the Argentine Navy and four persons representing the families were also on board Ocean Infinity's search vessel. Luis Tagliapietra, father of missing crew member Alejandro, told ABC News just two days ago that he was tired and frustrated as the ship began to head back to port after over two months of searching. Attempts at communication with Tagliapietra or other family members aboard the search vessel were unsuccessful on Friday night. The federal judge investigating the San Juan accident, Marta Yáñez, was optimistic about the potential for research into the disaster with the newly discovered images: "It's one thing to do guesswork, it's a whole different matter to analyze the images we have so specialists can assess what really happened." 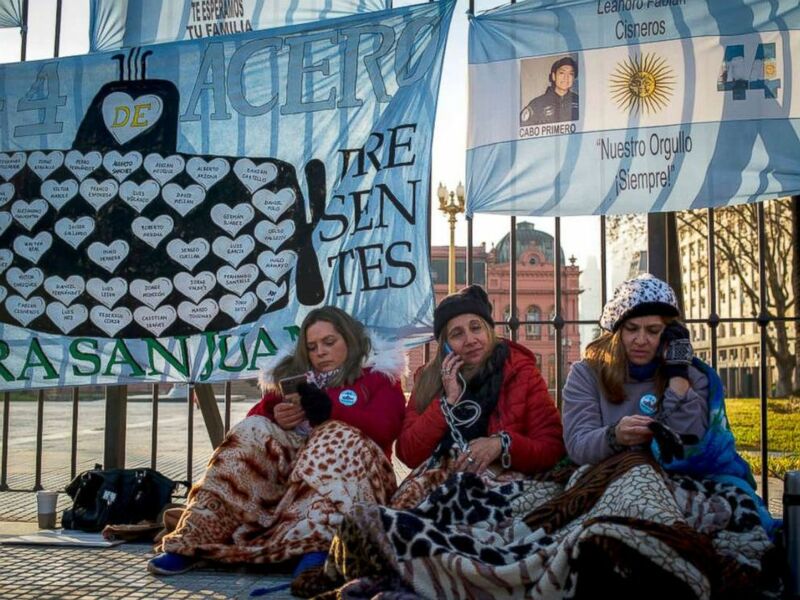 Relatives of the ARA San Juan crew with hands chained look on during a protest in front of the Casa Rosada demanding the government to continue the search for the lost submarine on June 28, 2018 in Buenos Aires. A number of naval officials are under investigation for allegedly allowing the submarine to go on an extended mission when they had been warned of mechanical problems that warranted immediate attention, according to testimony in federal court. Adm. Marcelo Srur, the head of the Argentine Navy, was axed last December in the wake of the submarine going missing. The ship was taking part in a military exercise at the time it lost contact, and had just seven days worth of oxygen on board.